I’ll be the first to admit that healthy eating is not always my top priority when traveling. I get excited about new foods, new DONUTS, and generally living a little more lax. That being said, if I travel for long enough, my body starts telling me that it wants to go back to a healthier way of eating. I start feeling tired, overly full, and just generally not myself. Too many indulgent treats or restaurant trips leave me craving a giant salad or smoothie. In order to avoid getting to that point, I’ve gotten into a pretty good routine of things when I travel that may be able to help you too. For some reason whenever I travel I feel like there’s a possibility that I could starve to death. I don’t know why, but I always overpack snacks because WHAT IF I GET STRANDED IN A DESERT SOMEWHERE?? Whenever I know I will be traveling, the first thing I do after looking for new donut places is see what food options there are around me. At last year’s personal training conference we were within walking distance of a Whole Foods, which made meal choices really easy. If I’m going somewhere that doesn’t have healthy options as readily available, I’ll see if I can grab some groceries at a local grocery store and cook where I’m staying. Guys, I love protein. It is essential, but it can be hard to get in as much as you need in a day when you’re traveling, especially during the days you’re actively traveling. 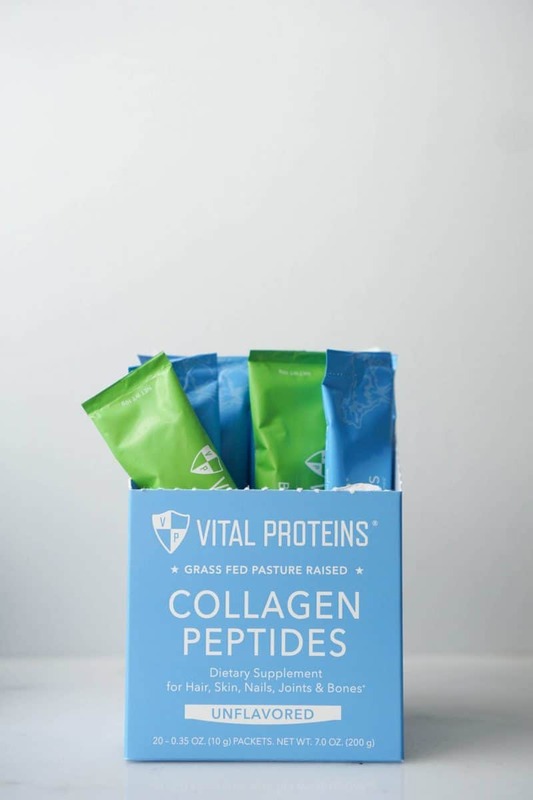 One thing that has been a lifesaver is Vital Proteins travel packs, which allow you to add in a pre-measured serving of collagen protein wherever you are. I will usually toss it into whatever I’m drinking so that I can make sure I’m getting enough throughout the day. My other protein powders are either chocolate or vanilla flavored, as well as not being packaged in individual servings. Taking these Vital Proteins packs allows me more versatility due to the lack of flavoring and also a cleaner packing job because I’m not traveling around with bags of random powder. HA. For some reason I really hate reusable water bottles. I can’t tell you how many I have and have literally used zero. I don’t know what it is, but if I buy a large plastic water bottle (sorry Earth) and continuously refill that, then I drink way more water. If you like reusable bottles, by all means take one with you and drink water throughout the day. Carrying it around will help you remember that you actually need to drink it. If you’re like me, buy a large water bottle at your destination and refill it. At the end of the day, travel is about new experiences and enjoyment (for me at least). If you’re traveling to another country and find eating exactly the way you do at home to be difficult, give yourself a break. Go in with the mindset that you’ve prepared the best that you can and if something puts a wrench in your plans, try and go with the flow. Don’t make yourself crazy trying to find one specific item. Enjoy every day the best you can. It’s not impossibe! 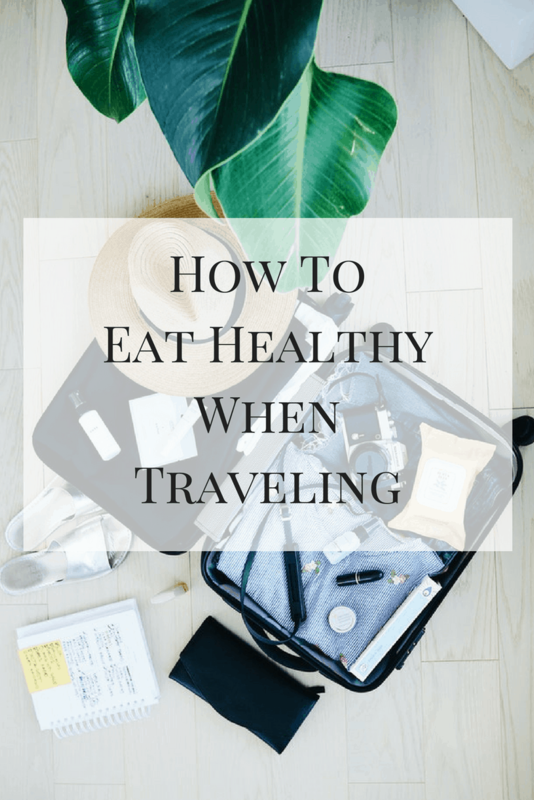 Here are some tips on how to eat healthy when traveling. I have the same fear when I am traveling, going to starve or something. I just hate being without snacks in case activities run long when traveling or something. All such great tips! 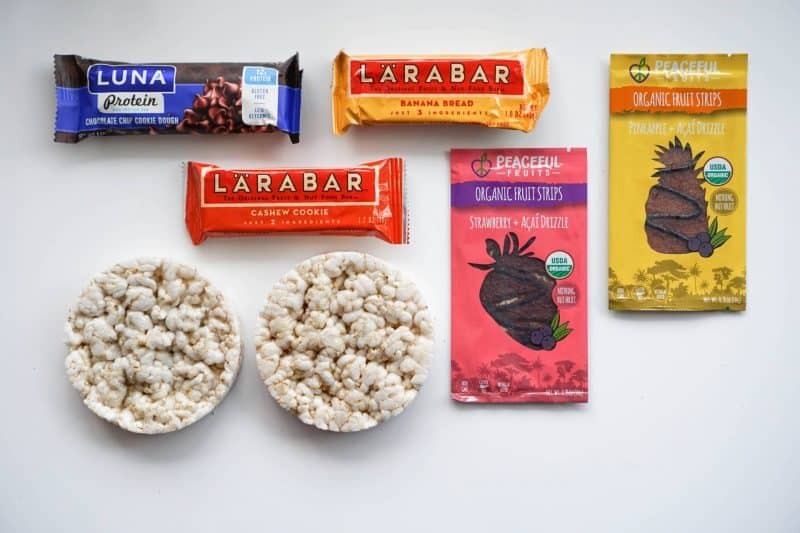 I think also in most restaurants when you dine out, there’s always a way to make it a little healthier, maybe focusing more on plants in your meals and making sure you’re getting some veggies in the day especially if most of the day was just packaged snacks. Good suggestions. Always a challenge to eat healthy when traveling, especially going to cities you are not familiar with.